Considered by many to be one of the deadliest men in the west, claiming to have killed 42 men, John Wesley Hardin was also one of the most controversial men in the West. 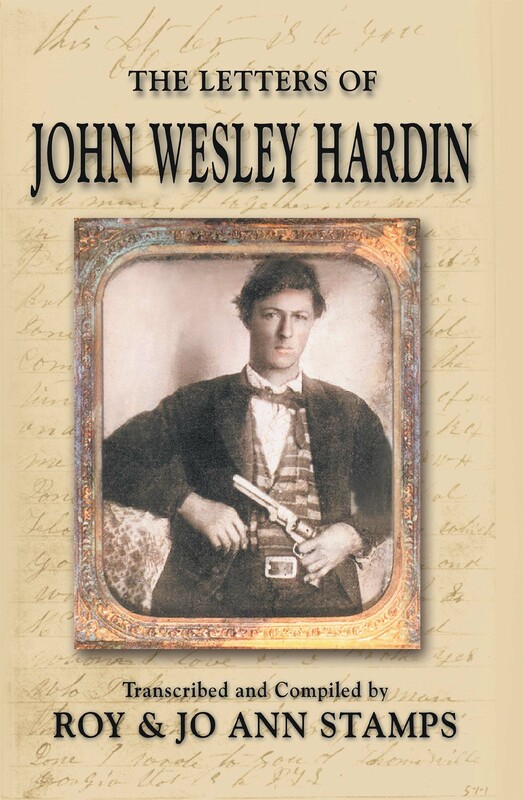 "The Letters of John Wesley Hardin," helps to reveal the man behind the myth, These personal writings of Hardin and his family, provide a detailed account of his capture, imprisonment, his family relationships, his religious beliefs, his transformation from criminal to lawyer and his pardon by Texas Governor James Hogg. 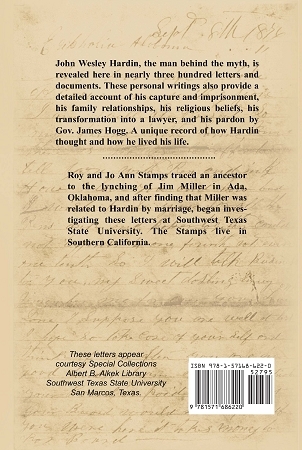 A total of 281 personal letters from the legendary John Wesley Hardin, and from his wife, family, and closest friends, organized and transcribed by the authors from the special collections at the Albert B. Alkek Library at Southwest Texas State University in San Marcos. Special permission was granted to use these letters in the book. The letters begin September 8, 1876, to his wife, Jane, and end July 28, 1895, with a letter to Hardin from his friend J.D. Hargis. The letters are all reproduced as written, with misspellings and the language of the day. The text opens with a brief biography of Hardin, who began his killing spree at the age of fifteen. Most of the letters were written from the Huntsville penitentiary, where Hardin spent more than fifteen years. He was shot to death in El Paso in a gun battle with Constable John Selman.